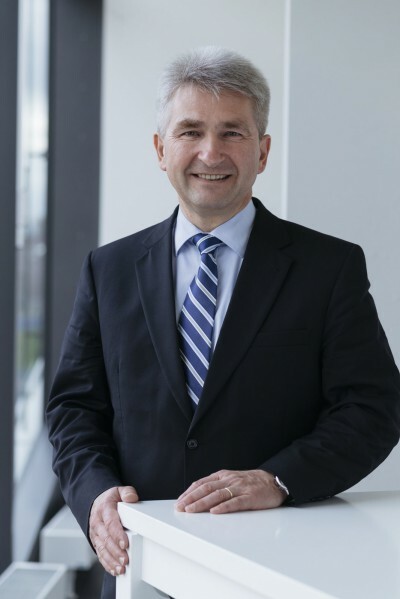 After his appointment as Minister of Economy, Innovation, Digitization and Energy in the new state government of North Rhine-Westphalia, Prof. Dr. Andreas Pinkwart resigned his post as Dean of HHL Leipzig Graduate School of Management and as Academic Director of one of the oldest business schools in the world. On this occasion, he and the Chairman of the Supervisory Board, Dr. Tessen von Heydebreck, took stock of his term as Dean of the university. Pinkwart will remain associated with HHL through his Chair for Innovation Management and Entrepreneurship, from which he will be granted leave during his ministerial term. In the fall of 2010, when Pinkwart became Dean of HHL Leipzig Graduate School of Management, the well-established institution was facing some fundamental challenges. The financial crisis made it vital to regain confidence in the discipline of management theory, and to revive both the strategic and financial direction in order to permanently anchor the traditional trade university in the premium segment of European business schools, and secure its economic independence. To this end, Pinkwart and the members of the university developed the future-oriented strategy innovate125. This concept, which has been in operation since 2012, aims to significantly expand the faculty and the number of students, and – through its programs – to gradually bring HHL into the top ten graduate business schools in Europe. Prof. Pinkwart commented, “Today, we are pleased to note that many of these goals have already been achieved. In the past six years, the size of the faculty and the number of students have approximately doubled. Likewise, the spatial infrastructure at the Jahnallee Campus could be merged and extended considerably with the help of the Free State of Saxony. Two years ago, the campus in Cologne was added. In the autumn of 2017, an additional campus will be opened in Munich.” In this context, Dr. von Heydebreck and Professor Pinkwart also refer to continuous improvement of HHL’s economic performance. The recent financial statements presented for the university’s 2016 financial year are clear proof. During Pinkwart’s term in office, HHL was elected as the best institution in entrepreneurship in Germany three times in a row by the Donors’ Association for the Promotion of Humanities and Sciences in Germany, most recently in the spring of this year. In 2014, HHL and the investors of the Leipziger Baumwollspinnerei founded the Spin-Lab – The HHL Accelerator, which in a short time developed into one of the leading start-up accelerators in Central Germany. The importance of HHL as a platform for start-up culture was underlined by the Federal Government’s recent decision to set up a national digital hub with the focus on smart infrastructure in Leipzig. This also applies to the ranking of the study programs. With its Master of Science in Management Program, HHL was ranked 6th in the renowned magazine “The Economist” only a few weeks ago. HHL’s reputation as one of the most international universities in Germany has also been strengthened. The fact that the university as a whole is moving in the right direction is also evident in the succession, which has now become necessary. Enabling a seamless transition has been the subject of intensive work in recent weeks. At the beginning of next week, the election of the new Dean by the senate should be taking place.